For some time now, Internet fraudsters have specialized in assuming the identity of other people. Then they contact women in order to deprive them of their money. You are going to find out how this works. If you as a woman are using certain web pages on the internet, it is only a matter of time until you get a message from an unknown man. doesn’t matter. Basically, it is normal for you to receive contact requests, since this is the reason why you are using these web pages. Some of these requests are genuine, but others may be fakes. These profiles used to contact you show people that do not exist at all. The real person behind these profiles steals the photos, comes up with a name and writes women by the dozen. In the following you will find the scenario of a fraud who pretends to be an engineer on an oil rig. The photo of the profile shows an attractive man. This is the reason why the message far likely will not get deleted right away. Therefore the message from that man will be noticed or to be more precise read. Let’s just call the man James Curtis. It could also be any other name. He writes in English or any other language that far likely comes from a translator program. He says he’s a subcontractor engineer on an oil rig. This means he works as an independent contractor on the rig. He likes to volunteer information like that the oil rig is in the North Sea. And after a short while he asks to continue the chat via Google Hangouts or e-mail. He’s either a widower or divorced a long time ago. His parents are dead or suffering from dementia and are living in a home. He has no siblings, but a young child who lives in a boarding school or with a nanny. He allegedly comes from England, the USA, Ireland, Canada, South Africa, Australia but sometimes also from Germany. Then he tells that he’s lonely. And now he is looking for the perfect woman to spend the rest of his life with. What a coincidence: The woman with whom he writes fits perfectly. He writes her several times a day. The e-mails become more and more familiar and after a short time he “falls in love” with the woman on the other side of the chat. He sends romantic messages, love poems and links to YouTube videos. And sometimes he even sends flowers or small gifts. He quickly goes on the offensive and speaks of a shared future. Something’s happening on the oil rig. Sooner or later there’ll be a problem. The story of the blocked credit card is often used by scammers. In this case disaster struck because he sent flowers to the lady of his heart. Since there was a hacker attack on the merchants cash system and so the customers’ (his) credit cards were blocked for security reasons. That’s too bad, because now he’s got no money. And because he works on an oil rig, it is difficult to send him a new credit card. In addition to that it takes a few days for the credit card to be made. Now of all times there is an emergency in connection with his work on the oil rig. He is forced to order new material and tools right now. Because of that crisis he can’t finish his project and therefore can’t visit his beloved and hold her in his arms. If he finishes his project on time, he would get a big bonus. This bonus is now at risk because his credit card has been blocked. He also wants to communicate via video chat, but due to technical problems the video doesn’t work or if it does, it only works for a few seconds or with a frozen picture. He sounds desperate and needs help. So he asks the lady of his heart to help him on short notice. Of course he only wants to borrow the money and of course he wants to pay it back as soon as possible. The only catch in this story: not a single word is true. To get out of the emergency situation, he asks to send the money to his supplier. This can be done by cash transfer to an account for example in London. London or other big cities are typical addresses for the money transfer. The payment needs to be sent as fast as possible, so that he can finish his work and finally is able to visit his beloved. Once his victim has paid, something else happens and he needs money again and again. But everything is a lie. All the stories are made up. 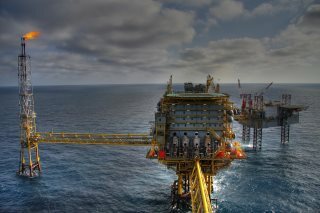 All oil rigs have internet connections and telephones. Anyone can easily use video chats. And all rigs have their own supplies. Furthermore you don’t have to bring your own tools to the rig. Never transfer money to strangers. Do not send a copy of your passport. Don’t send him numbers from iTunes cards. Don’t let anyone transfer money to your account for you to forward. You could then unintentionally be laundering money, which is a criminal offence. Do you have doubts about your chat partner? Are you not sure if your Internet friend is real? Then let one of our detectives consult you. The expertise of our private detectives will protect you from financial and emotional damage.